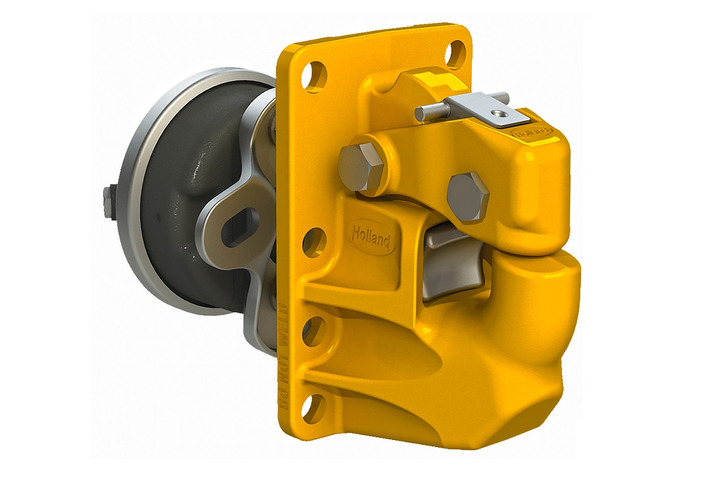 SAF-Holland has introduced Holland True Lube landing gear grease and the Holland PH-405 pintle hook. 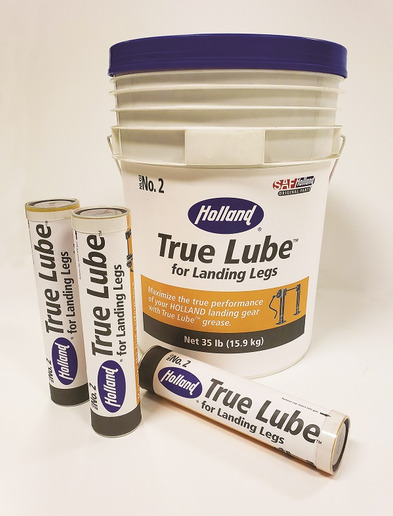 The True Lube grease was formulated specifically for Holland landing gear to maintain its true performance. Wide -40 to 150-degree operating temperature range ensures crank operation. Formula stability provides consistent smooth operation. Corrosion and oxidation protection protect gears from corrosion. Oil bleed control reduces oil leaks and prevents grease hardening. Salt water resistance enables it to last in harsh coastal environments. True Lube is available in 5-gallon pails, 14-oz. tubes, and 120-pound drums. SAF-Holland has introduced the Holland True Lube landing gear grease and Holland PH-405 pintle hook. The Holland PH-405 pintle hook is an improvement on the proven PH-400 pintle hook. The PH-405 is manufactured with austenitic manganese steel for enhanced wear and is designed to harden at contact surfaces with the drawbar. It’s used with 2-3/8-inch drawbars on heavy-duty ‘A’ train (converter dolly) double and triple applications for bulk liquids, dry bulk, aggregates, and quarry materials. The long life, rigid-mount design with an eight-bolt mounting pattern is compatible with the PH-400 model, and the Premier 2400, 100-4, and 470 models.